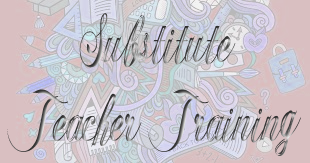 If you want to sub in the classroom you must attend GISD’s Substitute Teacher Training. You do not need to attend if you have previously attended GISD’s substitute training. NOTE: If you are a current Groesbeck ISD employee and you are interested in a job posted, please submit a letter of interest to the person that inquiries are to be directed. Qualifications/Special Skills: Texas Teacher Certificate in the subject area. Must be Highly Qualified. Qualifications/Special Skills: Texas Teacher Certificate for appropriate subject/level. Must be Highly Qualified. As an integral part of our growing CTE pathways, GMS is seeking a teacher to provide instruction to all 8th-grade students in the courses Investigating Careers and College and Career Readiness. Students will explore options for high school and beyond and will gain knowledge and skills to better prepare them for future decisions and opportunities. Qualifications/Special Skills: CPR, first aid, pre-service training, and additional training required once hired. Qualifications/Special Skills: CDL with S and P Endorsements preferred. Training is available if no CDL is held. Qualifications/Special Skills: Groesbeck High Schools is seeking an individual to lead and grow our culinary arts program. We are seeking someone with food service industry experience who wants to share his/her knowledge and skills with high school students. Groesbeck ISD has facilities that will become a student-run restaurant with both kitchen and dining areas. Applicants are not required to hold a Texas Teacher Certificate but must have documentation of industry experience. Special consideration will be given to individuals who have experience as a chef. Employment will begin in August 2019. For questions please contact Mr. Richard Cooper, Principal, at 254-729-4101 or Richard.cooper@groesbeckisd.net. Qualifications/Special Skills: Groesbeck High School is seeking an individual to work part-time to begin our construction technology program. We are looking for someone who has experience in construction and who will share his/her knowledge and skills with high school students. Our goal is to create a program that can build houses. The instructor does not need to be a certified teacher but must have verifiable experience in the field of construction. Qualifications/Special Skills: Texas High School Level Teacher Certificate. Must be Highly Qualified. Submission of an application does not guarantee that the applicant will be interviewed. Only those chosen for an interview will be contacted.